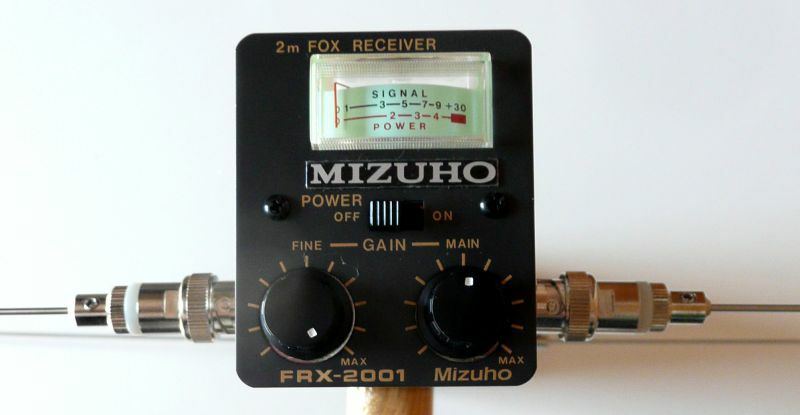 The Mizuho FRX-2001 fox hunting receiver is a commercially made dedicated tool for use in multiple radio fox hunting competitions and for tracking down stuck transmitters or illegal pirates on 2 meters. The Model FRX-2001 features a synthesized receiver built into the boom of a two-element HB9CV phased array beam, with selectable AM and FM detection. 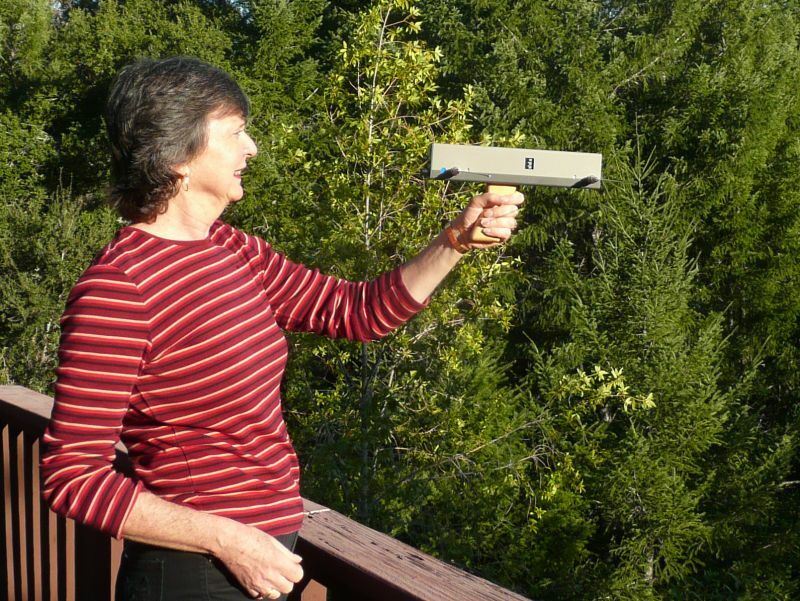 The spring-wire phased array is smaller than an equivalent yagi, making it excellent for use in the brush. Coarse and fine attenuation controls and audible strength indication are included, along with an easy to read S-meter. An audio-pitch signal strength circuit feeds one channel of stereo headphones and receiver audio is presented in the other channel. 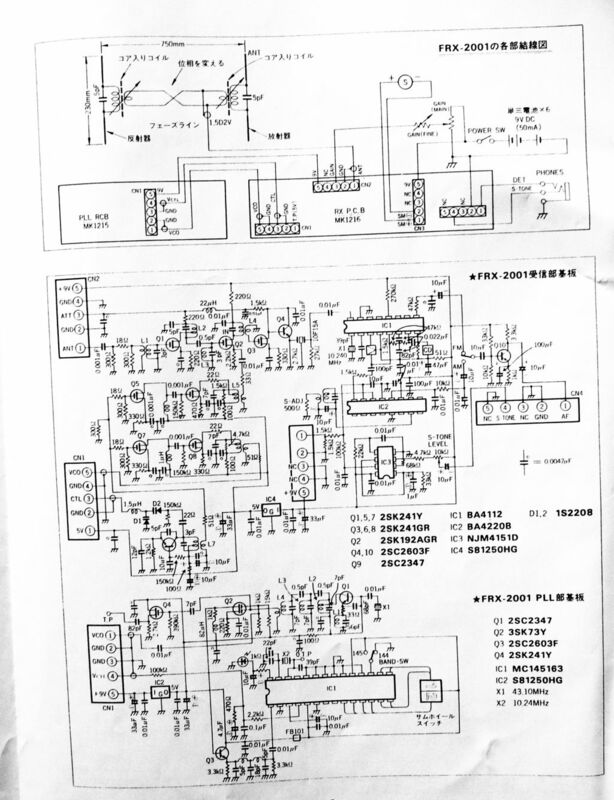 An internal switch selects AM or FM demodulation. The FRX-2001 tunes 144-148 MHz. Digital thumb dials on the side of the unit tune in 10 KHz steps over a 2 MHz range. 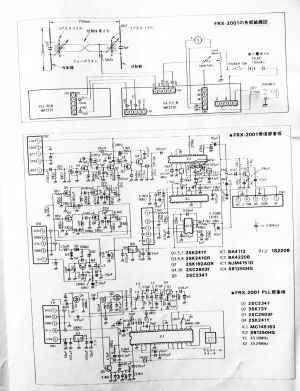 Two internal slide switches select 144, 145, 146 or 147 MHz. 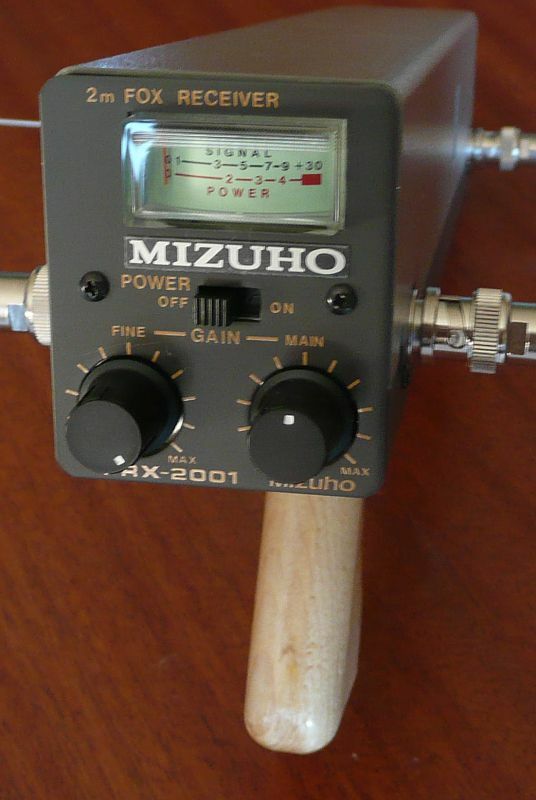 The dual conversion receiver uses a 10.7 MHz first IF and a 455 KHz second IF with filtering. 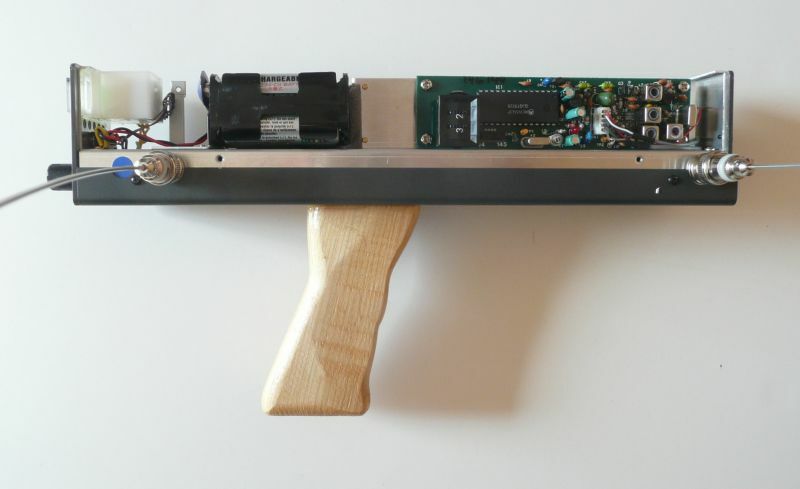 Power is provided by a 9 volt battery pack using 6 AA cells. Rechargeable NiMH or NiCd batteries work great.